The story of the Dreyfuss family business has started in the Swiss town of La Chaux de Fonds. The young Moise Dreyfuss founded a workshop for the watchmaking. Moise's sons found a way to reduce the price of the watches without the inferior quality. In the town La Chaux de Fonds in 1967 was built the factory, which manufactured watches. Wars and crises could not stop the family business. The Rotary brand, because of its reliable, stylish and affordable watches, has gained popularity in South Africa, UK, Malaysia, Singapore, New Zealand and Australia. The next generation of Dreyfuss also controlled the family business. In the 1970's crisis in the Swiss watch industry shook the stability of the company and in 1984 the watch company, which almost stopped to produce, was sold. The company Moise Dreyfuss Ltd has continued its activities in 1987, the fourth-generation of the family Dreyfuss - Robert, wanting to recreate the traditional family business, began to negotiate about the purchases of the factory and the brand Rotary, with its owners. 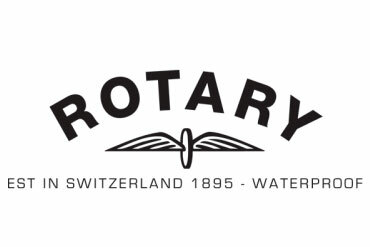 In 1992 Robert bought the Rotary brand. Th e company continues to produce the high quality Rotary watches at the affordable prices. 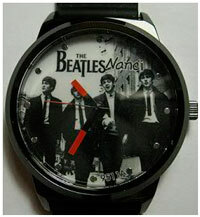 Most of the watch models have the quartz movements and the classic style. Some models are manufactured with automatic movements. The models Revelation, Reversible and Reminder are produced with the rotating cases down and they are the pride of this company. The watches with the rotating case came into vogue in the 30th year, that time they were called the watches for the polo. These watches become one of the Rotary's symbols. The Reversible model is equipped with the small automatic movement and the auto-wound rotor system , which is visible only through the glass of the back. The Revelation watches have two quartz movements and two dials, located on the opposite sides of the rotated case. These watches show the time of the second time zone. The back of the Reminder watches is perfect for a memorable inscription or an engraved monogram. The Rotary watches combine quality, reliability, classic style and affordable price.